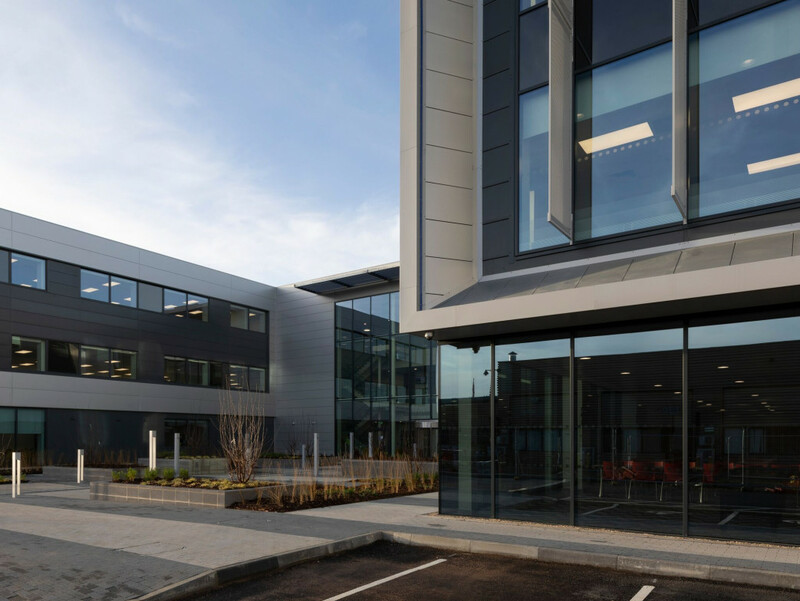 gdm architects are very pleased to have acted on this prestigious office redevelopment project in Milton Keynes. 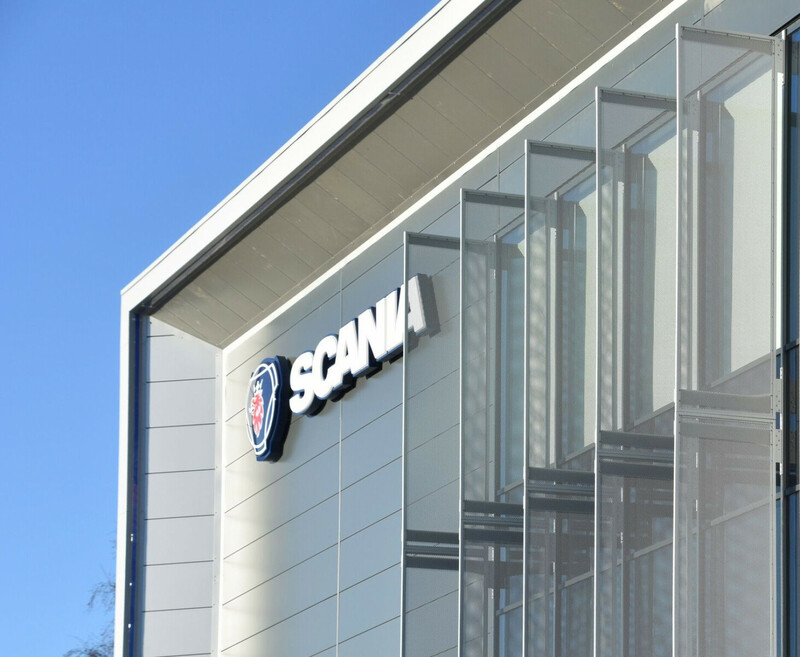 The new head office is a highly impressive state of the art building in all respects, capturing the ethos of Scania’s place in the competitive truck industry. gdm were responsible for the full building design, spatial layouts and complete interior design. 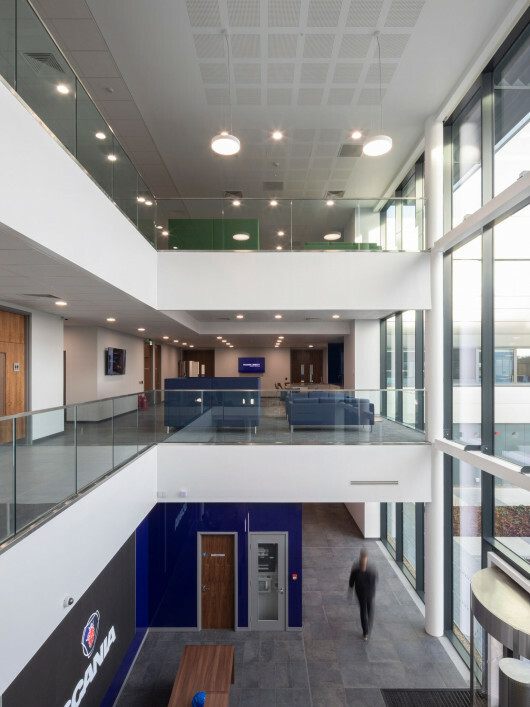 The project reached practical completion on 19th December 2018 with most staff moving in prior to Christmas. The former Scania head office will now be demolished to allow full car park and landscaping to be completed as a second phase by April 2019.